There are plenty of Mexican places around. Sometimes it seems like you can’t turn a corner without running into one. But finding authentic Mexican food – food that’s really good? That’s a lot harder to find. 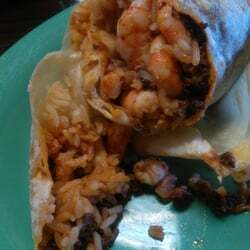 La Delicias is a great place to get that quick authentic Mexican lunch or dinner that won’t leave your wallet hurtn’. And the best part? They won’t turn you away late at night for that night time taco.